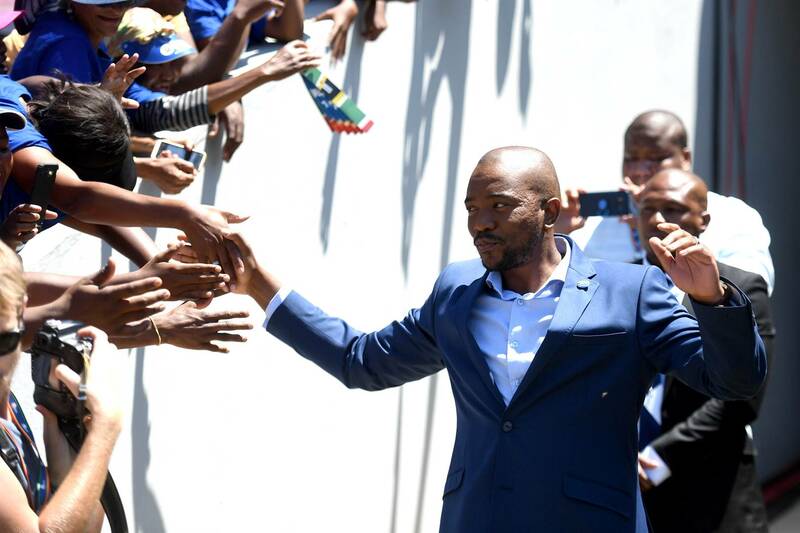 DA leader Mmusi Maimane has shrugged off claims that former party leader Helen Zille is more popular than him. Maimane was responding to a question about a poll that reportedly found that Zille was necessary for the DA’s election campaign if the party wanted to do well in the May 8 polls. Maimane said on Wednesday that he did not take the poll seriously. “The DA has an incredible team who work together with different people who are leading the party going forward. It was the same poll [that] said we would get 19% or something like that, so frankly I am very dismissive of such polling. On Tuesday Zille surprisingly came to Maimane’s defence on Twitter for the first time since the two fell out over the former leader’s tweets, resulting in a number of sanctions against her which included not attending party events unless granted permission to do so. Maimane made the comments outside of Eskom’s Ankerlig Power Station in Atlantis on Wednesday when he addressed journalists alongside the DA’s Western Cape premier candidate Winde. The party is calling on Eskom to urgently build new power stations and for the Energy Minister Jeff Radebe to allocate a licence to the Western Cape government so that it can import natural gas to run generators in the province. “The Eskom substation behind us today is currently running on diesel – an unaffordable and environmentally unfriendly source of power. The turbine generators that power this plant, like many others across the province, can be powered by Liquid Natural Gas (LNG) which is both a cheaper and cleaner source of energy,” Maimane said. “We already have a special economic zone in Saldanha Bay that we could import gas through easily and in a sustainable manner, and it comes with a much lower price tag than diesel. And we have done the studies and have worked with Transnet on an actionable plan for importation through Saldanha. Winde said that about R21 billion would be needed to put into action the province’s energy plan and that about 67 000 jobs would be created. “Round about R21 billion is what we are needing in total, round about 67 000 jobs if you do the full gas. We have done six studies on gas already, probably within a year we could be having conversion and probably in three years we could actually start to get a new gas power station built here, maximum five years.